My parents had to put their dog Bailey (and my dog too…) to sleep 😦 She was nine years old. I remember getting her as a 6 month old puppy at the pound when I was a freshman in high school. The last time I saw her was on Labor Day…. Not sure what killed her exactly–she’s been having issues the past few weeks (even when I went up last month) with her left side and coordination. They think it might have been some sort of spinal abscess or tumor. 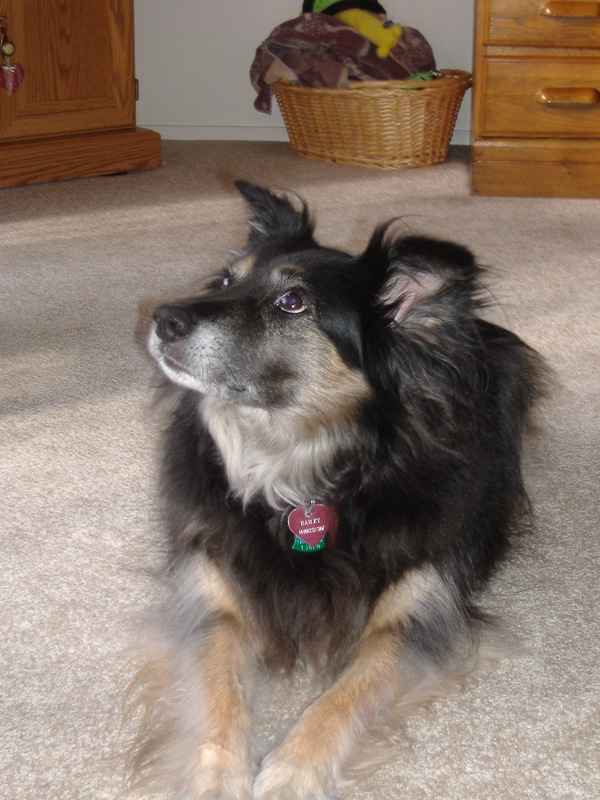 Mom called crying .She said Bailey was howling…and in the nine years we’ve had her, I never heard her howl. I guess I just feel really horrible for my mom….she’s been through so much the past six months, what with Grandma’s stroke and caring for her and visiting her daily at the nursing home, to Bailey getting sick so suddenly and dying like this…. I can’t lie; I’m pretty much a basket case right now 😦 I think it’s the combination of never seeing her again and the pain my mom’s going through….and the fact that my sister’s at school four hours away, wishing that she could be at home around family. Phil and I were going up to see them this weekend; I was so looking forward to seeing Bailey. Now I won’t see her again…:( I really wish I could’ve been there, at least to help my parents…Sorry for such a depressing post but I had to get it out. Thanks for the comments…I really don’t think it’ll hit me until I go home to visit this weekend and she won’t be at the door to greet me. Awww. That’s so sad. We had to put our dog to sleep when I was in Junior High. Along time ago I know, but losing a pet is always heartbreaking and the sting remains. I’ll lift you all up in prayer.